Yesterday was an odd day - I woke up and the first thing that went through my mind was excitement for my run. All day long, I thought we would be running 5 miles but my calendar alert told me otherwise - we'd be doing 4. Super easy night right. This, and a conversation I had with Lauren while at dinner the other night got me thinking. When did 4 miles become my easy run? How did this happen? Let's take a road trip back to January 2012, a mere 9 months ago. 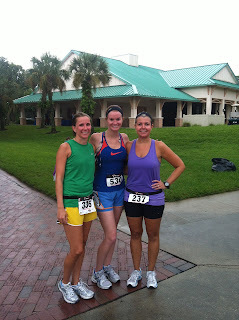 I was signed up for February's Disney Tangled 5K during Disney Princess Half Marathon weekend yet I never ran outside. I thought the elliptical was training and it was the only thing I ever did. On the morning prior to heading out for my annual girls cruise with my best friend Keri, I was forced to lace up my sneakers and run 3 miles with her. 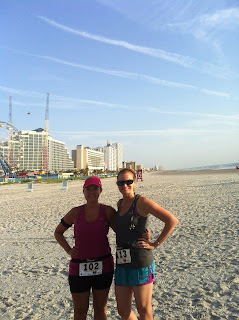 She was training for the Princess Half Marathon and knew we wouldn't run while on the cruise (although we did do beach yoga, very very very hungover). We got about a half mile into it and I stopped, claiming to have a heart attack. Keri pushed me to keep going, I yelled at her that heart disease runs in my family, she doesn't understand. Smirking, she stated, well you are having a normal conversation with me without panting, you are fine. 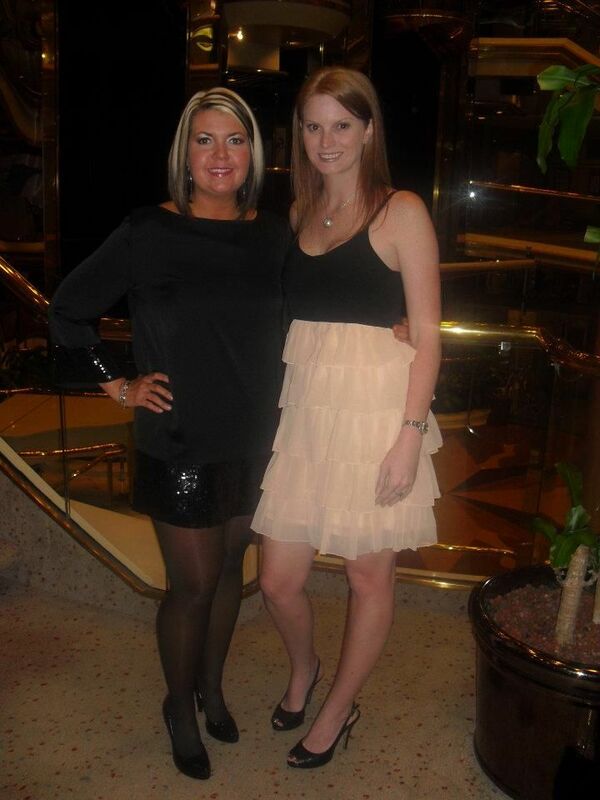 During the cruise, I complained to anyone who listened to me. "She made me run 3 miles". "She is evil". "Who wants to run 13 miles" "She is insane". That's when I made the change. I went from a girl who complained about every little thing to one who ran nearly 4 miles straight without stopping on Wednesday night. I could have gone the entire 4 but I had to stop for a traffic light and I didn't want to jog in place. Here are my tips for beginner runners. 1. Stick to a schedule. It's amazing what your body can do if you stick to a training schedule. I hear a lot of people say "I can't run". Trust me, if I can, you can. All you have to do is start slow with a good training schedule and stick with it. The first few months are rough, you may have self doubt. My hardest moment was not running 11 miles on Saturday, it was running 4 minutes straight. I remember sitting at dinner this past April staring at my 5K runner iphone app with horror in my eyes when I realized I had to run 10 minutes straight the following day. I grew frustrated and compared myself to other runners. Do not do that. Remember, no matter what your time is, you are faster than those who are sitting on the couch. 2. Get a running partner. It can be your neighbor, your colleague or in my case, significant other. Look up local running groups if you don't have luck finding someone to run with. There are days when I do not want to run and Gabe forces me to lace up. This has happened in reverse as well. We know our goals and rarely will there be a night when both of us fall into a funk. Unless it's raining outside. 3. Pre-race prep: Expect to have race day jitters. I am always nervous on the morning or night prior to a race, weather it's a 5k or a 10 miler. Most importantly, listen to your body and drink a ton of water the night prior. You need to make sure you are hydrated. If not, you will get cramps and try to drink too much water while running which will make you sick. It has happened to me and it is not fun. Another thing that can make you sick is eating a banana in 3 bites post race. Baby bites and sips - slowly introduce food and water back into your body or you will be hugging a trash can like I was at Hollywood Studios after a ten mile run. 4. Stretch stretch stretch & Ice Ice Baby: I cannot stress the importance of stretching. Here is a great article for post race recovery. We are also new fans of the foam roller. While at the dinner that inspired me to write this post, Lauren mentioned an article she read on Carrots n Cake, one of our favorite fitness blogs. The post explains the proper way to roll. Check it out - I bet you are rolling incorrectly. Besides a foam roller, Ice is your new best friend. You may hate it but your muscles will thank you later. Read these 8 do's and don't for ice baths. 5. Find your inspiration: Find out what inspires you the most. 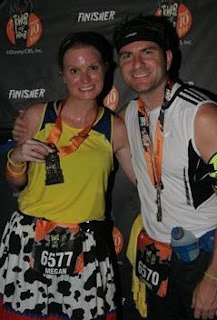 Mine is all about the bling, which is one of the reasons I am an avid runDisney runner. You get medals with every race! 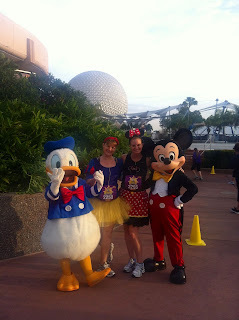 If you are able to make it to FL or CA for a runDisney race, I strongly suggest it. There's nothing more magical than being hugged by Mickey Mouse at the finish line. 6. 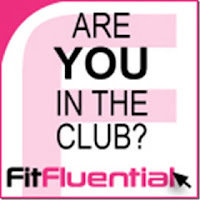 Join an online Fitness Group: I became a Fit Fluential Ambassador in August. 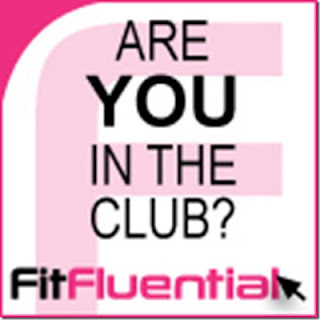 This group of fitness junkies help push me and inspire me to become a stronger athlete. This group also keeps me credible. Having the honor to be part of this group keeps me hitting the pavement. Great post! 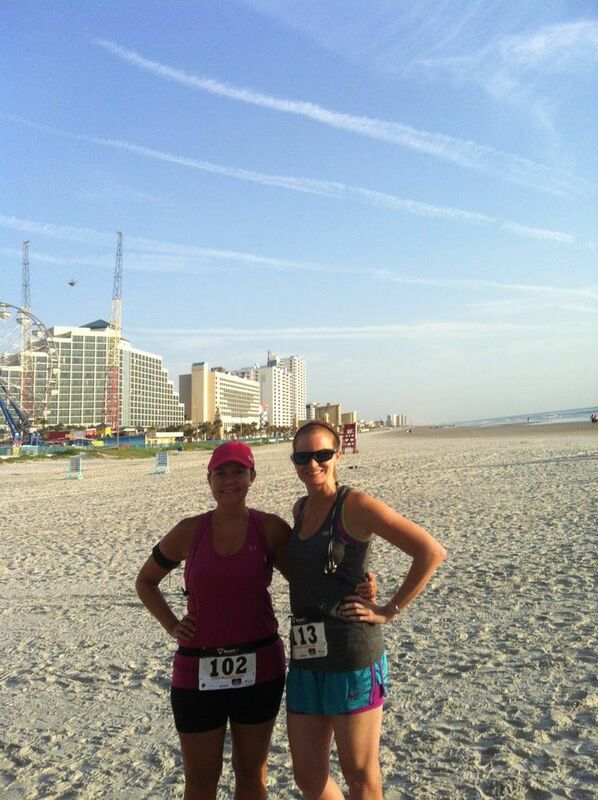 You are a very positive person and I can see how running has influenced you in that way! Great advice! Thanks for sharing. I keep trying to "attempt" to run and it never works out. A lot of it for me is mind over matter, but I honestly (as dumb as this sounds!) never thought about having a schedule. Thanks for the tips!